When my health began to suffer a few years ago thanks to stress, being overweight, and having some intestinal issues, I started taking much better care of myself. That meant eating organic foods, following a Paleo diet, and losing over 70 pounds. I used to always say I didn’t have money to buy organic foods, but my health issues weren’t cheap, so I decided in the long run, eating the best food I could was a priority, even if it was more expensive. Over the years, though, I’ve found ways to cut costs on eating organic. One way is renting an organic apple tree. 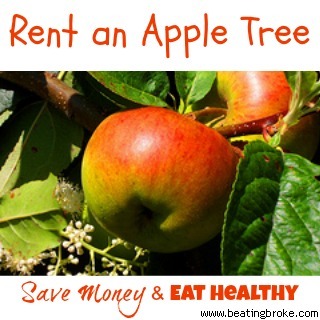 How Does Renting an Apple Tree Work? I simply Googled “rent an apple tree” to find one near us. Then, I rented one apple tree for $55. All the apples on that tree were mine. I paid in the spring, and the Paula Red apples were ready in August. The farm called me to tell me when the apples were ripe, and then I and my family headed out to the orchard to pick the apples. It took less than 45 minutes, and we left with 94 pounds of organic apples. What Did We Do With All Those Apples? Paula Reds don’t stay good for long, so we turned them into applesauce. (And we ate a lot of them fresh.) We ended up with 28 quarts of applesauce, which I stored in the freezer. It took me, my husband and son working together 7 hours to process all of the apples. We didn’t have to add any sugar because they were naturally sweet. The lowest price I have been able to find for organic applesauce is $2.50 for 16 ounces at Trader Joe’s. Just like our applesauce, Trader Joe’s applesauce only contains organic apples. There are 32 ounces in a quart, so one quart of Trader Joe’s applesauce is $5.00. One quart of our homemade applesauce from apples on our rented tree is approximately $1.96. 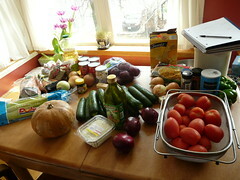 Overall, we saved $85 and will have enough applesauce to last us through the winter. We also signed up for another apple tree in October for apples that are suitable for storage. We’ll be able to keep them in our refrigerator for several months and eat them fresh. If we get another 94 pounds, we’ll be paying just 58 cents a pound, which will be a significant savings over the grocery stores where I can never seem to find organic apples for less than $1.99 a pound. Still, it’s not just about the savings. What matters is that we know exactly where the apples came from and how they were processed. In addition, they are local, in season, and organic, which is the best way to eat food. 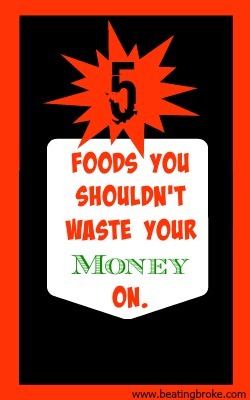 If you want to feed your family healthier foods but feel that they are out of your budget, don’t despair. There are several unique ways to feed your family organic food on a budget. Renting an apple tree is just one of those ways. We’ll be sure to do this again next year. Have you done something like this? Do you buy food direct from the farmer? Original Photo Credit:MetaphoricalPlatypus, on Flickr.